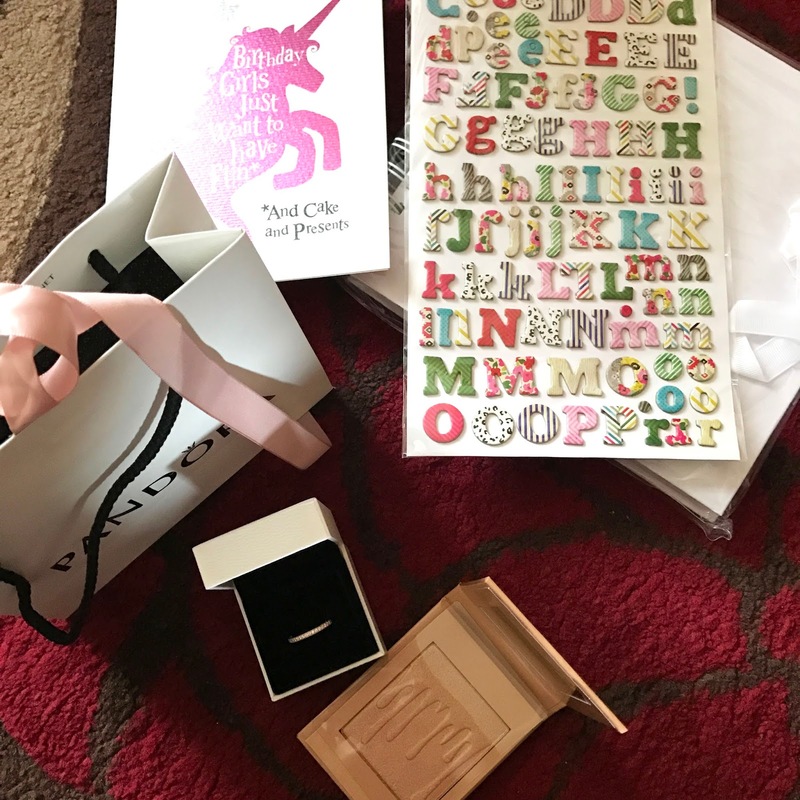 So on the 11th July I celebrated my 20th birthday, I was pretty gutted to be turning 20 but I was looking forward to celebrating with my friends and family as I had quite a bit planned. Presents to me aren’t as exciting so now I just ask for a couple things I need and my mum always throws a few surprises in. I hope you enjoy having a look what I got, it could also give you a few ideas for presents for your friends. Off my family, I received some skincare bits as my mum is always topping my stash up for me at birthdays or christmas, I am pretty low on toner so she got me my fave simple soothing toner and a L’oreal triple active day moisturiser, let me know if you want me to review this me and my mum both use and love it. She also got me a few make-up bits from L’Oreal who have now got to be my favourite high street make-up brand they always have the highest quality product for very affordable prices. I always use the Infallible foundation or lumi magique which unfortunately my mum could not find at the time. She also got me one of their mascaras and a primer too which seems to have a very similar formula to the mac strobe cream. My mum knows I love soap and glory so she also got me a gift set which had their shower gel and body butter which I am forever using. I of course asked for a new pair of black ripped Jamie jeans because I am constantly wearing all my other Jamie jeans as well as some underwear that I spotted at work. Finishing off my presents with a gift card, bottle of wine and some chocolates what more could I need. 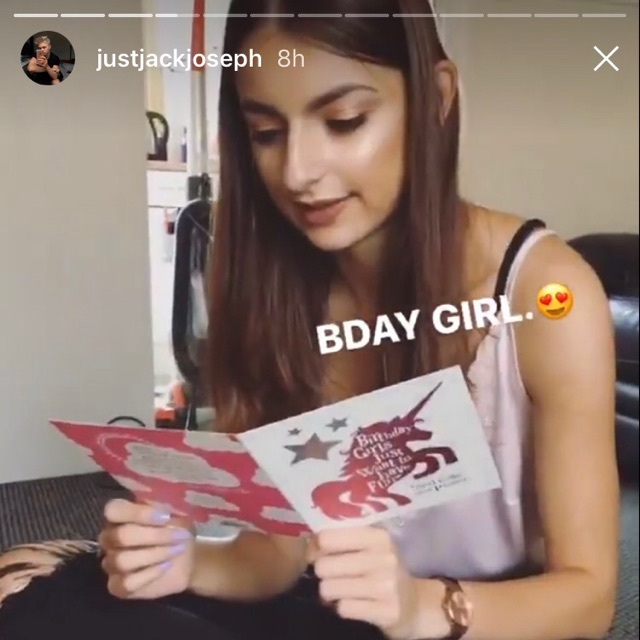 Jack did ever so good with presents he always surprises me so well. Of course my favourite present was a beautiful rose gold ring with diamantes on from pandora. He knows I don’t wear or like extremely embellished jewellery so this was the perfect touch which also matches my Olivia Burton watch. Im not sure if he meant it but he went with a rose gold kind of theme with a Kylie Jenner highlighter (he’s good I know) in the shade salted caramel, of course there will be a review coming soon. A very thoughtful gift was the scrapbook he got me to put all of our memories from our first year together in. One thing which my aim as a present for myself was getting my own car and I did it! I am extremely proud of myself that I managed to pay the deposit, insurance and sort the finance payments for my car all by myself. Now I just need to get more confident driving it. I celebrated my birthday with a night out with all my friends where one of my uni girls Sarah and best friend Kirti surprised me by coming up from Southampton to come out with all of us. I had the best night and so fortunate to have the friends and family that I do have.